Coming from the picturesque confines of Lisbon, Gonçalo Salgado, the face behind the moniker Lake Haze, now based in The Hague has been standing his ground in amongst the flurry of producers and DJs appearing out of mainland Europe in the previous five years. 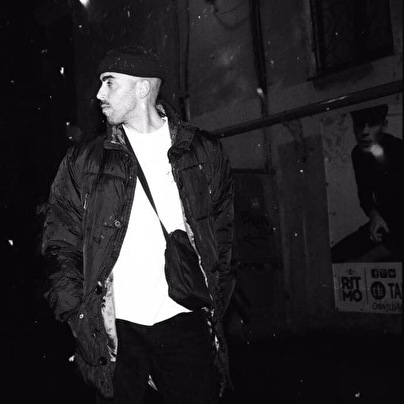 After linking up with DJ Haus in 2014 and presenting his UK Garage-flavoured Force of Nature EP to the growing fan base of Unknown To The Unknown (Haus' prestigious imprint), Salgado had lodged his foot in the door, with an elevated platform with which he could do what he liked. From there is when Lake Haze began to take shape and formulate his own sound. His crispy, doom-laden rhythms give way to delicate moments of entrancing bleeps and chords, all uniting to form a sound that was apparently too much for DJ TLR to resist. Four mesmerisingly textured EPs on TLR's Crème Organization later and Lake Haze is a name that a growing fan base prays to hear new material from on a regular basis.